Subject: Essen FAQ- Essen, what the gosh darn heck is that all about? The same questions keep coming up. Time to start a FAQ. I'm starting with some questions. If you have a good answer, I'll paste it in. Yup, there are lots in the threads below, and on external sites, let's get them all together. Let's stick to the facts and keep it simple = short shortish! Hyperbole can come later. This is the Essen hotel list I've built up over years of visits. I will be tidying up this public version later. If you need a hotel, you can still get one quite late on, but your choice of location and prices is limited. The earlier you can book, the closer you can get to the halls. 4 Is there a website? Other useful external sites? 7 How to get to the city Essen? 9 How much is a room? 10 How to get to the show? Local transport, u-bahn, trams, bus, stations, taxis, maps. 11 How to get a ticket for the show? Can you get a ticket in advance? Do you have to get a ticket in advance (pre-booked)? Does the show sell out of tickets? Can you re-enter the show? What kind of tickets are available? 12 Cash or credit? In the show, around Essen in general. 13 Are games cheaper at the show? 14 Food - can you buy food in the show? Can you bring food into the show? Are there supermarkets near the halls? Are there places nearby to eat? How much are meals? 17 Games shops in Essen? 18 How to prepare? Hall guides? 19 How much luggage do airlines allow? 20 I can't read or speak German at all, is that a problem? 21 Do I need a passport or a visa to enter Germany? 22 Apart from the show, is there anything else for a tourist to do in Essen? 23 Is the show suitable for children? 24 What's the weather like during the show days? 25 Are there many restrooms/toilets at the show? 26 I hear the show is pretty big, is it easy to find someone if you get lost? 27 What is disabled access like at the show? 28 What's the best way to get games home? Can I ship games from the show? 29 I want to meet up with certain geeks to trade games. How can we do this? Is there a central location to meet? Any questions I have missed? For gamers, "Essen" means the Essen Internationalen Spieltage (Spiel '07), an annual game show held for four days in October at a large exhibition centre in Essen, Germany. It is reputedly the biggest and best public show for boardgames, card games and CCGs, with designers and publishers demonstrating their newest games, retailers selling games at discount, and a large fleamarket with a wide range of new and used games. In addition, there is usually a hall of Comicbook sellers, and one or two halls with RPGs and live action material, and a hall of large inflatables and activities for kids. The show sometimes has computer games, but these are unusual. Essen is a city in North Rhine-Westphalia, Germany. Located on the Ruhr river, it is the second largest city of the Ruhr area and is the eighth largest city in Germany. It is close to the West border of Germany with the Netherlands and Belgium, and lies north of Dusseldorf and Koln, and West of Dortmund. The four day show runs from a Thursday to the following Sunday inclusive in October each year, usually around the third or fourth weekend. For example, the 2012 show was 18th to 21st October 2012 inclusive, the 2013 show was 24th to 27th October 2013 inclusive, the 2014 show was 16th to 19th October 2014 inclusive. The 2015 show is from 8th October to 11th October 2015 inclusive, putting it on the second weekend. In past years, the show dates were given long in advance, but recently the dates are announced closer to the event. Check the Messe Essen website for current dates (see below). For visitors, the doors to the actual halls are opened at 10am and close at 7pm Thurs-Sat and 6pm on Sunday, the final day. You can buy your ticket and enter the reception area before 10am. People working at the show have Exhibitor tickets or Press passes, and these allow them to enter the halls earlier and to stay later at night. The show Spiel is operated by a firm called Merz Verlag. Their site for the show Spiel in German and English offers only basic information. However, close to the show dates, they publish a detailed guide to exhibitor locations in the halls. Please note therefore, the hall guide usually shows exhibitors from the previous year. Merz Verlag do not sell tickets online. You can buy tickets online from German ticket outlets, but with a small additional charge. The Messe Essen is the firm that run runs the halls themselves, and they update their own calendar for the year ahead as they confirm bookings. Ward Batty wrote a very useful page which you should read, although it's now some years old. It also links to other good reads, including Franz Kulkmann's daily show blogs. Mik Svellov has a very good guide with practical information. Boardgamenews (now on BGG) provides constant information in English on the new games being shown at Essen, as does the German site Spielbox. It should be noted that Spielbox has published an accurate hall guide online very close to the show dates each year. Without exagerrating, if you like European style board games, Essen is THE show. There are similar shows around Germany (Berlin, Munich, Stuttgart all have shows at this time of year) and other European nations have weekend shows too, but Essen is the biggest and the best. It's basically like a motor show but for board games. The exhibition halls are vast and the big publishers take large stands in each hall, with tables and chairs and a central desk. You grab a table, get a game from the desk and play. They have lots of helpers to explain the games (with varying success). The small publishers have booths around the hall walls, to show and sell their games. You get to play and buy lots of new games, you can easily meet and talk to many of the big name designers and the big publishers usually have freebies or expansions to buy at low cost. The retailers actively compete on price and games get cheaper towards Sunday. Essen is often used by small publishers to release limited runs of a new game, to test the market. You could be the first person to play the next Caylus. There is a superb fleamarket piled high with out of print games you can inspect before buying. And you get to meet lots of your fellow BGGers and play games in your hotel to the small hours. Essen is not really a tourist destination. It's a nice enough city, but there's not a lot to do if you're not going to the show. It can be exhausting too. You do a lot of walking each day, there are few places to rest and the show can be packed solid on the weekend. You have to be very active to get a table or somewhere to play (people often play on the floor between tables). Essen is not a games convention in the usual sense, there are not organisers to reserve tables or games for you. You have to use your wits and work the show yourself. It's not aggressive, people are very friendly, but if you are not up for it, you may find the show and the crowds hard work. But it is easy to make friends and many German gamers will explain new games to you. Obviously this depends on where you are starting from. Essen does have its own small private airport, but there are international airports at Dusseldorf, Weeze, Koln, Dortmund and Frankfurt, and Essen is well served by main rail networks and motorways. Essen is not a tourist destination, so you will have to organise your own trip or get a travel agent to make special arrangements for you. You will not find a pre-arranged or packaged holiday for Essen. However, since you're already on the internet, booking your own travel and hotel online is fairly easy with a credit card. Many travellers try to combine the trip to Essen with other European destinations or a holiday in Germany. Don't forget to arrange travel insurance as part of your trip. Getting stranded abroad can be very costly, especially if you fall ill.
Other users to complete. Please advise the main motorways/autobahns into Essen, the cost of parking, including parking at the halls, and the cost of local taxis). Most hotels charge around €7/night for parking. Other users to complete. Please advise how to find which trains go to Essen, typical prices, how to get a ticket, 1st & 2nd Class carraiges. Please explain about stamping your ticket. Your choices fall between which airline to use and which airport to use. Usually the choice of airport for your departure/arrival decides which airlines are available. The budget carriers such as Ryanair, Easyjet, Germanwings, Berlin Air, use smaller, regional airports which lie outside smaller cities. Often the airport is not connected by rail or by a main rail line, so you have to travel from the airport into the city, then get your connecting train to Essen. The major airlines fly into better connected airports, and you pay more for the service, although it is worth noting that prices have come down heavily recently. If you book several months in advance, a budget airline will carry you for extremely low prices, for €30 or less return. The closer to your travel time you book, the more you pay. If you are confident you will be travelling, then booking as early as possible will save you a lot, especially as you have more chance of getting a hotel room close to the show halls. If you prefer to leave your travel arrangements to later in the year, or don't want the hassle of a budget airline, then flight costs will be much higher. Having said that, my own flight on Lufthansa in 2006 is £70/€110 return, practically half last year's price. Shop around and you'll be rewarded. The main German airline is Lufthansa, and your simplest choice may be to fly with them. The nearest major international airport to Essen is the Düsseldorf International Airport (DUS) which is used by most of the main European airlines and some budget airlines. I think the only US carrier going into Dusseldorf is Delta. It is easy and cheap to get the train from Dusseldorf to Essen (€10 one way 2nd class, 30-40 minutes), and if you are in a group, some people recommend sharing a taxi (especially on the home leg) although suggested costs vary. Other nearby airports include Koln/Bonn or Frankfurt to the south and Weeze to the Northwest. Dortmund Airport is to the East of Essen (http://goo.gl/maps/8RTG6). It shows Lufthansa, AirBerlin, Easyjet and other budget carriers. The website has a useful travel planner map, but for UK travellers only seems to show EasyJet flying from Luton Airport. Dortmund Airport runs shuttlebuses to the local bus and train stations, for about €5/person. Koln/Bonn Airport (check out their funky electropop song!) is used by Germanwings and Easyjet as well as many European carriers. You may have to change terminals to get your train ticket and whilst there are some trains direct to Essen, you might have to travel into Koln on the S13 local train service which runs approx 5 times an hour before getting a train to Essen. Even so, total journey time, including connections, is around 90 minutes. The cost is currently EUR44 for a return ticket to Essen. Note, one user says the trip to Essen is easy, another says it's a nightmare. Frankfurt (FRA) (link, Flash needed: http://www.airportcity-frankfurt.com/cms/default/rubrik/9/96... ). Again you can easily get the train from these airports, although you are adding hours to your journey. Weeze is a regional airport to the Northwest of Essen, very close to the Netherlands border (http://www.airport-weeze.de/index.php?lang=en), which is served by budget airlines such as Ryanair and Dutch carriers. You will have to travel into Weeze by taxi or the airport shuttle bus (http://www.airport-shuttle-express.com/) to get the train to Essen. Or you can ride a bus from the airport to Essen rail station (http://www.airport-weeze.de/2-3-4_bus_essen.php?lang=en) for €12.50 one way. There seems to be an airport at Munchengladbach too. You can also fly to Schiphol Airport at Amsterdam in the Netherlands, and the train ride to Essen is over 2 hours. Eindhoven may be another option. Since you are reading this, we'll assume you have access to the internet. We'll also assume you have a credit card but little experience of booking a hotel. You should pre-book your room (make a reservation). Turning up and expecting to find a room when you get there is very risky. However, do not worry. Despite a lot of exageration, it is easy to find a room in Essen as late as August. But if you want to be within walking distance of the halls, then booking early is important as the best places get booked well in advance (often last year). But if you're happy to get a room in the city centre, or further afield, then there are lots of choices for you. The Essen Tourist Office can arrange a hotel booking for you, but they will not take responsibility for the hotel. Alternately, you can go through any number of online hotel listing sites and complete your whole booking process with them. A third method is to find a particular hotel online yourself and book directly with them. I have been in touch with the Tourist Office on a few occasions and I have not felt very confident in them. They seem to have their own agenda and you may not get the location you expect. However, their English is very good, so you may feel happy using their services. Their website has a good listing of hotels including websites and emails. I have looked at various online listings and have checked the hotels against google. Some of the listings are badly out of date, including hotels with old names, or hotels which no longer seem to exist. One problem is that there are lots of hotels marked Essen, which actually lie in towns outside the city, such as Kettwig or Werden. For drivers, these towns are quite close to the halls, and might still suit you, but if you're using local transport, you'll be stranded or paying for taxis. One Essen hotelier has recommended we try http://www.hrs.com or http://www.hotel.de. Looking at these though, I find the same problems of hotels being located many miles from the halls. Another problem with going through a listings site, is that your hotel may turn out to be more of a guesthouse than a 24 hour room service hotel. Again, that may suit you very well, especially if you're making the trip more of a holiday. But if you're looking for a hotel with gamers staying up all hours, you could be the only one there. If you have used a listings site and feel confident in it, then go ahead. I take the third option and have found hotels for myself by going through their own websites and emailing the hotel directly. You know what you're getting. You'll see photos of the hotel, the rooms and prices (although most hotels charge more when there is a show at the Messe). Often these hotels are smaller, family run places, and the ones known in Germany as hotel 'Garni' do not provide an evening meal, whereas the bigger or chain hotels will have an evening restaurant (for example Hotel Lindenhof is a Hotel Garni). Note, when looking at these sites, 'Zimmer' means what the rooms are like, 'Preise' means the typical rates (but rates may vary at that hotel, check when you book), 'Anfahrt' is how to find them (directions) usually a little map, and Kontakt is their contact details. It seems that German hotel regulations require them to state somewhere exactly who owns and operates the hotel, so you may find explicit information not on other pages. There is a fourth option, booking online directly with a chain hotel, such as Best Western, Holiday Inn and the like. Again, you know what you're getting as the chains run a very standardised operation. The prices are plain enough, they give better prices online than over the phone, but they may have more restrictive booking terms, including not allowing a cancellation at all. Also, the price does not necessarily include breakfast, so you might get hit with an extra charge when checking out (Holiday Inn, I'm looking at you). If this is your first visit to Essen, going through a known hotel chain is probably best choice for you, especially if you've not travelled in Europe before. You'll be confident that you've got a good room in a good hotel and be able to find your way around Essen better next year. Finally, some hotels do not have their own website, because they expressly want you to book through a listings site or travel agency. This is because they don't trust people booking rooms by email. Booking with these hotels may suit you if you are making telephone calls. All hotels expect your credit card details when you make your reservation. They do not take a deposit, and usually they allow you to cancel the reservation if you let them know early enough. But typically, if you cancel the reservation within a certain period, they will charge part or the whole of the room costs to your card. For example, if you cancel at least 30 days before the reservation, you may be charged nothing, or half the fee. If you cancel less then 30 days from the reservation, you'll probably be charged the full price. But hotels are businesses, and if you can find someone to take your room, you may escape paying the full price. Most hotels include breakfast in the price of the room, but some expressly do not and they make an additional charge if you take breakfast. Some hotels include lunch and an evening meal in your room price. This is known as 'half board' and 'full board'. In Germany, this would be 'halb-Pension' and 'Pension'. But typically, you will be getting bed and breakfast (not to be confused with B&Bs!). Breakfast in a german hotel is a self-service buffet, typically included breakfast cereals/muesli, bread rolls, jams, fruit, boiled eggs, cheese and cold meats. Yup, they eat lunch at breakfast. You also get an endless supply of coffee or tea from a jug/pot on your table, and fruit juices from a canteen. Bigger hotels may provide hot food at breakfast upon request, such as an omelette. Staff keep the buffet stocked up, and keep bringing fresh coffee, but you find a table and serve yourself. You can go back as much as you like, and filling up at breakfast is a great idea. Most hotels expect you to show your room key to the staff, either on entering the breakfast room or when you take a table, so that they know you're a guest and entitled to the food. If there isn't someone to show it to, leave it on your table and they'll spot it as they bring your coffee. Some hotels can offer a choice between smoking or non-smoking rooms. All hotels should offer a choice of single or twin/double rooms. A twin or double room usually has two single beds if you want to share the room with a friend (that is a twin is two single beds, but a double may be two single beds or one double bed), or you can get a Queen/King-sized double bed if you want to actually sleep with them. Many hotels will charge you a supplement if you take a double room as a single person, but if you booked a single and they give you a twin or double room, you should not be charged extra. Many hotels can also provide a third bed in a double room in emergency, but it will be a cot/folding bed and you should check before booking. It is also common for all rooms to have their own bathroom and toilet (en suite), although the bath is usually only a shower. Some hotels, especially the very cheapest, will have shared toilet facilities on your floor. Most hotels expect you to check out of your room by around 12noon on the day you leave. If you're not expecting to travel till the afternoon, they may look after your luggage behind the reception desk for a couple of hours, although this depends on the size of the hotel and the size of your luggage (they may simply not have space). Hotel staff invariably have very good English, so you should not have any problems writing emails or dealing with them by phone or at the hotel. Don't bother trying to translate your email into German using online tools or a dictionary. Just write in plain simple English and they'll get the message. It's what they do. The date you will arrive, the date you will leave and so the number of nights you need a room. For example, if you arrive on Wednesday 18th October and depart on Monday 23rd October, you will be staying 5 nights (Wed, Thurs, Fri, Sat and Sunday night). Whether you want a single room, a double room with 2 single beds (usually called a twin room, or twin beds), or a double room with a double bed. If you are booking for a group, then be clear how many rooms you require. Whether the room has its own bathroom en suite. Whether the room is for smoking or non-smoking. Whether breakfast is included in the price. If you are driving to the hotel, you may want to ask about reserving a parking space as well, typically charged by the day. You should get a clear reply from the hotel confirming their offer, including the explicit rates for the nights in question. You then confirm your reservation and give your card details. Of course, you can do all this over the phone, but an email is just as good. It's best to confirm your reservation a few weeks before travelling. They may have messed up, and given your room away. Making that check with the hotel is good for you and good for them. Finally, when you arrive at the hotel, you just identify yourself and that you have a reservation, and fill out a small form and they swipe your card in case you do a flit without paying. You actually pay your bill only when you leave. They will print out an itemised receipt which you should check before paying. If you use the mini-bar in your room, or certain TV channels, you will be paying extra charges. If you have any disputes about the charges, raise them now but be polite. It is common for guests to pay their bill on the last night of their stay. This has the big advantage of not being in a queue in the morning, when lots of people are arriving and leaving. In the evening, the reception desk is much quieter, and if there is a problem, you have more time to sort it out. I have compiled my own hotel listing in a spreadsheet which includes the hotel's location on googlemaps, their website and email address. The listing is grouped from hotels nearest the Messe to those farthest out and only those checked against Google have been highlighted. If you want the latest copy, send me a geekmail message with your email, and I will forward it to you. Please note, that as well as hotels, some listings give Apartment Houses, which seem to be booked like a hotel but for at least 3 or 5 days. Prices are directly comparable with hotels, and this might suit a group booking better. Essen does have Bed & Breakfast places in the same way as UK or US travellers would expect, but I have no experience of these. There are also Youth Hostels in Essen, but these seem to be located on the far outskirts of the city. This one for example is in Essen-Werden, to the south, just over the river. Another option is to stay in a Hostel in Oberhausen, the next town over from Essen. "I can recommend the very nice "in-hostel-veritas" (as I already did in another thread). It is located in Oberhausen (a neighbour town to Essen) and it takes ~50 min. with public transport from the hostel to the fair. I don´t know if this is too long for you (I make this trip every morning ), but it´s cheaper than a hotel and has a really nice atmosphere." (thanks to Ingo Keiner (quatsch7) for the info). This will vary depending on the hotel and location of course, but a single room will be between €60 a night and €140 a night. A twin room or a double room will cost more (suggestions wanted please), often €80-€200. When booking a room, note two things: does the price include breakfast and is the price quoted the normal price or the price for the show dates? Breakfast - if the room price is very low, around €60 for example, it may not include breakfast. You may be charged extra for breakfast, around €10. Make sure the price you have been quoted includes breakfast, if it does not, that you know the price of breakfast. Messe Preis - Often a hotel site will show their normal room rates, perhaps varying by season or weekday/weekend. Be warned, the prices charged during events at the Messe Essen will be higher. 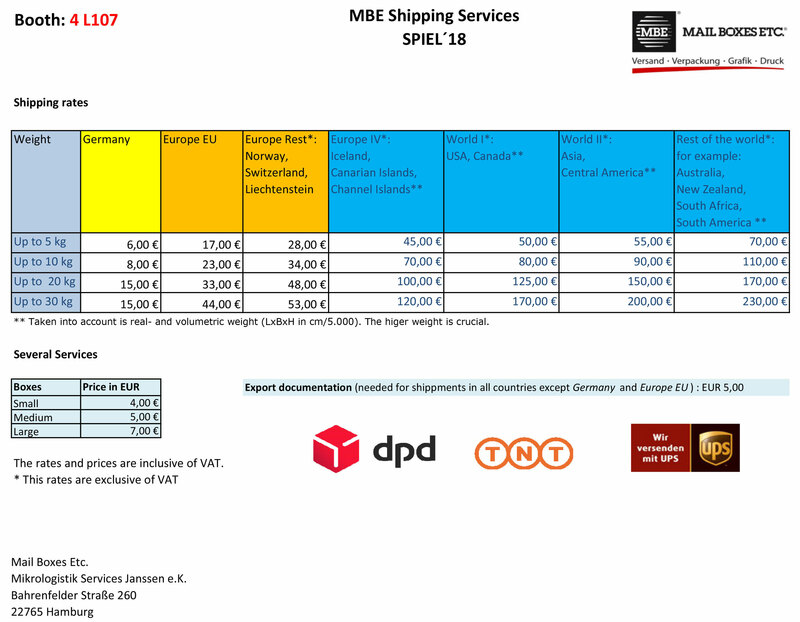 Often the site will show the 'Messe Preis' (Show Price), the rate they charge during an event like Spiel. If this is not clear, be very specific when you get a quote what price they charge for the nights you want to book. If your hotel is within a few blocks, you can easily walk to the show. There are subways and footbridges, so you can safely get around the very fast main roads near the halls. No jaywalking! Wait for the crossing lights to show for you (although this can be very frustrating). If you have bought a metric buttload of games, walking back may be tiring, even for a few blocks. Some gamers have been known to hire a taxi to ride a couple of blocks back to their hotel, just because they bought too many games Ben. The weather in October is usually mild or hot, little rain, so walking in the evening is pleasant, and also very safe. There is a small U-bahn network that runs North/South and West in Essen (but not East), all routes going through the main train station in the city centre. Underground trains are frequent, but the timetable ends pretty early, around 11.30pm most nights. Tickets are cheap, but there are a variety of options (more later). Graffiti is rare and there are always EVAG staff on duty at the main station, and police officers visibly patrolling. Further out, you will see few or no staff, but I have never felt in danger or threat for one moment on the U-bahn. The trams run overground around the suburbs of Essen, and go underground in the city centre, using the same station network and ticketing as the U-bahn (usually on adjacent platforms). If you are waiting for a U-bahn train, a tram going to the same place could easily arrive behind you first, and you can hop on that instead with the same ticket. Tickets for the U-bahn and trams are bought in advance from ticket machines. The machines take coin and bank-notes and have a big colour touch screen. It does foreign language info, so touching the UK/US flag symbol will give you the same info in English. The ticketing breaks down in various ways: Adult/Child, Short Trip/Long Trip, Single Ride/Multiple Ride. The usual choice you make is between the Short K ticket (K for curt) which takes you three stops only, and the Long A ticket, which takes you as far as you want. Essen is not zoned, so if you know you are riding three or fewer stops, you can pick the K-ticket. But if you are caught using a K-ticket for more than three stops, you will be fined. Ridng from the city centre to the halls is at least four stops. Riding from the train station in the city centre to Martinstrasse is three stops, so you can use a K-ticket if you go into town for dinner. You can buy an 8 ride ticket (on a strip), which you can use in different ways. 8 people in your group can ride a single trip, or you can ride 8 single trips, or any variation you care. Tickets are printed with some info, but not dated/time stamped. You must do this yourself as you go to the platform, or when you enter the carraige. You will find lots of little boxes with slits. Shove your ticket in, wait for the ding and pull your now stamped ticket out. It takes a while to remember to do this, but you'll see everyone doing it, so make sure you stamp your ticket. This means you can buy your tickets well in advance, and then stamp them just as you are using them. The U-bahn line U11 runs to the halls. There are two stops, Messe Ost/Gruga (it exits right at the ticket booths) and Messe West/Sud/Gruga (the end of the line and a short walk back to the halls). Everybody uses Messe Ost for the show, so at peak times it can be crowded. The nearest tram routes to the hall are 101 and 107. The best stop is Florastrasse, a couple of blocks East of the halls. It would only be a few minutes walk to get to the halls, and a few minutes waiting to cross the main street. There is a wide bus network too. I think you pay the driver as you board but I'm not sure of prices (info please). Again you won't have to wait too long for a bus, but they can take meandering and so confusing routes. It's worth asking the driver to say when you arrive at your destination. There is plenty of room for luggage on most buses. Again, most routes run through or near the main train station. It's reported that the day ticket for the show includes a free travel pass for Essen. This is written on the back of the tickets. WARNING A new ticket system was introduced at Spiel2010 which resulted in very long queues. Reports of 2 hours waits to get into the halls were common. Therefore, buying a ticket in advance may be advisable for overseas travellers. You do not need to buy a ticket in advance. You can buy tickets from booths at the show halls from the first day on of the show. The tourist office next to the main railway station in town which sells them (just to the right of the Moevenpick Hotel). Where the Galeria Kaufhof escalator goes up into Willy Brandt Platz, at the base is a ticket shop, open till 8pm. At the halls themselves there is a tiny office that pre-sells tickets, just across the yard from the Messe, underneath the overhang of the Grugahalle (the big concert hall). Buying a ticket in advance costs 2 euros extra. For 1 more euro (yup, a total of 3 euros) you can get a show ticket which includes a Kombiticket that lets you travel free on local transport (although that may be just for the purpose of getting to/from the show halls). This link is to a live ticket agency, so the actual page will change over time. They've never sold out of tickets as far as I can tell. The halls do get very crowded, but they keep to safe numbers. In previous years, you could not re-enter the show. But in the past two years, they've introduced a pass-out. As you approach an exit, you show your ticket to a security person and say you want to come back in today, and they tape a printed band around your wrist, letting you leave. When you return, show the band AND your ticket, and you should re-enter with no problems. This is done to stop people swapping or transferring their used ticket to someone else outisde the show. There are a variety of tickets you can buy (more info needed please) , individual tickets, family or group tickets, day tickets and 4-day tickets. You can also buy a show guide (all in german) which has info on the publishers stands and hall lay out. The queues to buy tickets can ramp up at opening time. If you can get to the halls early, you don't have to queue long to get a ticket. You can then enter the main reception area, having your ticket clipped as you enter. You can pay to put your coat in a cloakroom, and pay for a large locker (which it turns out you CAN keep the key overnight). The internal doors to the halls don't open till 10am, and show workers and press are admitted early through a side door. If you really really want to get on a publishers stand, you have to get to the front of the queue and sprint your way in. But you'll find all the tables gone anyway. The ticket booths appear to only take cash. Inside the show, it is virtual all cash. It's worth getting a lot of smaller notes and work through your coinage. Sellers will appreciate the effort especially the small publishers. But there is at least one stand that takes plastic, the Galeria Kauhof stand in Hall 5 will swipe your card. They have the latest games and lots of good stuff on very heavy clearance, so it's worth a visit. Whether anybody else takes plastic inside the show, I don't know. I've not bought food in the cafeteria, so I don't know if they take plastic. There are cash machines outside the show, down a side wall at the East entrance. And banks have cash machines. Look for a sign GELDAUTOMAT which means cash machine. Look for SPARKASSE too, this is like a Post Office Savings Bank I think and are the easiest place to find a cash machine in a shopping area. But if you are from outside Germany, you'll get hit with a minimum fee as well as the exchange rate. So if you need cash, it's probably worth hitting it for a large sum than several small sums. The machines do give your cash in a variety of Euro notes, from 50s down to 5s, so you don't have to break a large note straight away. (So if you take 300 Euros for example, the machine will give you 2x5s, 4x10s, 5x20s and 3x50s or something like that). Outside the show, you'll need coin change for ticket machines, but restaraunts and your hotel will take plastic. Personally I do not use my cards at restaraunts (it's not worth the extra card fees) but I pay my hotel with a card. I do take a large cash sum into Germany (and get through most of it) but I don't carry a lot at any time. I've never felt threatened in Essen, so I feel quite safe carrying a few hundred Euros around. I've not really shopped much in Essen, except for small items. So I can't say how common cards are accepted in Essen shops. However, I think that many small shops won't accept plastic. Debit and credit cards are not used as widely as in the UK for example (verification needed please). Yes and no. Games that are going out of print are on heavy discount on some retailer stands. Card games for 3 Euros, small board games for 5 Euros, large box games for 10 Euros are typical prices. These sellers are price sensitive, so if any seller cuts a price, the change will ripple through the show. Stuff that doesn't move gets marked down too. There are some fantastic bargains at the show, but be warned; all that glisters is not gold. A game for 5 Euros could be 5 Euros because it's total rubbish. If you see a game you know and like at a good price, grab it. You might find it cheaper later on, but not by much and often, when it's gone, it's gone. Wait a day and it will be sold out. Other retailers are only selling current stock items and some are better priced than others. But very often, you'll find the same price at online sellers when you get home. It's only worth getting current items if it's a new game you've played at the show and really want a copy right now. Some sellers will give you a few Euros off if you buy a bunch of games at once, it's worth asking but your mileage will vary. Sometimes they'll chuck in a little game or novelty gift. The second-hand game dealers are nice people too, but they are usually working on a tight margin, so don't be aggressive. But again, if you buy a bunch of games and smile, they'll round the total price down. If you can't see a game you want, ask. Lots of games are under the tables or hidden away, it's worth asking. The big publishers are not selling games at all, but all the small press will have games to sell and your buying is their life-blood. Here you'll see signs tacked up, MessePreis. This means they've got a special price for the show only, and buying the game elsewhere or online will cost more. You've also got a great chance to talk to the designer, ask about the game or try it out, and get English rules on the spot. Some of these publishers will have their new game in a limited run, 500 or 1000 copies, often on pre-orders. Some, especially the German ones, will be able to bring more stock in during the show (often being made up overnight by teams of helpers! ), but publishers coming from further afield will only have what's on the stand. And when they've sold out, they'll be off to enjoy the show themselves. So again, if you see something you like at a good price, grab it now, it will not be there tomorrow. It's worth keeping your eye out all the time. You'll see lots of unusual little games dotted about, on shelves at the back of stands, in bargain bins, tucked away in corners. If you find a small publisher you like, ask if they have any of their older games around. They usually bring some copies of all their games, and are pleased to sell the last copy on. You're advised to stock up at breakfast time at your hotel buffet, even if, like me, you don't normally eat breakfast. Your breakfast is usually included in the room price, and getting fueled up early will carry you through the day till your evening meal. You are able to take bags into the show, so bringing in snacks and drinks is quite acceptable. You won't be searched or have stuff removed. However, walking in with pizza or takeaway is probably prohibited. Inside the show there is a large cafeteria which does a roaring lunch trade and makes a useful meeting place. I've not eaten there, so I cannot comment on quality or prices (information needed). Around the halls, at the large doors between halls, are various snack bars. These serve hottish food, burgers, frickadellas in a bun, ices, and drinks, such as soft drinks or coffee. There are places to perch and eat your snacks, or even tables and chairs. This food is okay. It's filling and will get you buy till dinner time, but is a bit pricey for what you get. Expect to pay €3-5 for a simple snack. Payment is in cash money. The halls are set away from any shopping areas, but you only have to walk a few blocks to get onto Ruttenscheiderstrasse, a long drag with lots of restaraunts and snack bars. No MacDonalds or Starbucks (I think), but local pizza & chips, brattwurst & chips, chips & chips. Down at Martinstrasse are a couple of decent small supermarkets, and another is at Florastrasse. It's worth visiting these to stock up on excellent German biscuits, chocolate and fruit juices at very low prices. You can get a litre of high quality fruit juice in a re-sealable carton for around €1. Note, these markets are closed on Sunday, so buy your Sunday supplies on Saturday. These markets usually have budget brands, so you can spend as little as €3 a day and get through the show quite nicely. I tried a bag of popped peanuts, but it's an acquired taste. Payment is best in cash money. I've not tried using cards in a supermarket. They don't give out free plastic bags. If you want a bag, you'll pay a few cents for it, on the bill. In the evening, there are lots of very good restaraunts along Ruttenscheiderstrasse and Albertstrasse. If your hotel is in town, there are several places worth visiting around the city centre. I will cover specific restaraunts in a separate thread. For a two course meal with a beer or two, you'll pay from €20-€30. The food is excellent, very filling, large portions, and the beer is superb. I usually eat very well for around €25 and often cannot finish my plate. The only problem you might have is in getting tap water. If you order water, you'll get expensive bottle water (fizzy) or even soda water from the bar. If you want a carafe of plain water, learn the correct German phrase now. Again, many restaraunts are closed on Sunday, so you'll have to scout around to find one, but there will be some open. You generally do not need a reservation, but obviously Saturday night is popular, so you might have to wait for a table or be turned away. Most table staff will speak enough English to understand what you want, and if you start in English, they usually give you an English language menu. This can be a cut-down on the real menu, so you could be missing out on some great meals and deals. If you have a phrase-book, ask for the full German menu. My only criticism of German restaraunts is service. It can be slow to catch the waiter's eye, get menus, get ordered, get served and to GET REFILLS. I've had my second beer turn up after the bill, just as we're leaving. But on the same note, nobody is going to push you out the door after you finish. You'll be there at least an hour, so sit back and relax. German restaraunts are noisy too, very chatty customers, but musak is unusual. If you want a quiet meal, stay in your room. Remember, your own hotel will often have a restaraunt, but again, this will probably be closed on Sunday night. It's quite safe to drink the water in Germany, and I've not had any stomach upsets from food or drink. You may have er um looser movement than you do at home, but your body is just reacting to different bugs in the system. Rest assured, you will not get food posoining or diarrhoea. So now you know. Germany has introduced new anti-smoking laws that prohibit smoking inside public buildings. Previously, there was not excessive smoking in the exhibition halls anyway, but there were sandtrays for butts between halls where smokers gathered and smoking was not prevalent at the tables. Today, these are removed and you will be hard pressed to find anybody smoking in the show. But, given the very large numbers at the show, there is the odd person willing to break the rules and smoke inside. If you absolutely require a smoke-free environment (because of asthma for example) then you'll have the same chances as any place with smoking restrictions today. Outside the show, people smoke everywhere in the street but not on public transport or in shops. I cannot recall if the smoking ban applies to restaurants. EDIT: 22/07/2016 I'm told that smoking is banned from restaurants, except where they provide a separate enclosed ventilated smokers room. 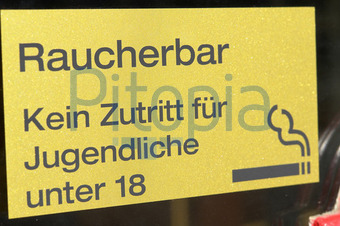 Also, there are smokers bars which allow smoking, known as a Raucherbar. You must be over 18 to enter such a bar. (My thanks to user Asaru for this update). There is a Toys r Us in the city centre, very close to the main rail station. This is worth a visit just to see what a Toys R Us should look like. But if you are going to the show, you won't find much there that you can't find cheaper in show. The main department stores also have very good games sections, way better than you'd find at home, and you can find some good bargains there. Galeria Kaufhof is one example, just near to the station too. Further into the city centre is a store called Mueller. They have a floor full of games, models and the like. Sadly, Mueller has closed their branch in Essen. There are two FLGSs in Essen, but both close up and take a stand at the show. This is entirely dependent upon your carrier and you must check the specific conditions that apply to your flights. For example, if two people are travelling together, one airline might allow you to share your allowance, whilst another airline may not. So if you are allowed 20kgs each for example, you might get away with 22kg in one case, 18kg in another, or you may get charged excess for the 2kg. However, experience shows that airlines tend to be more generous on your return trip, as long as you're not taking an extremely large excess. Note too, that places the boards of games into your carry-on luggage while help bring your weight down, since they tend not to weigh carry-ons. Neither can I, and I've never had a problem in the years I've been going. If your intention is to stay around your hotel and the halls, visiting local restaraunts and playing games, you will have no trouble whatsoever. It would help if you bring a phrasebook and maybe a pocket dictionary, but you can get by using English only. The hotel and restaraunt staff, the local transport staff, the people in and around the halls and especially other gamers will all speak some English and usually very good English. The ticket sellers and security staff at the halls may have limited or no English, but there will be plenty of gamers around who can help you. Inside the halls, every stand will have English speakers, although again they may be limited or not precise. Often, the person helping you will be able to explain the game well enough but sometimes they miss a particular rule which may affect your opinion of the game. But this is more to do with them only learning the game at the show rather than poor English. Do not be afraid to ask people playing a game if they like it or if you can join in if they are just starting. Sometimes you'll come up blank, but most times someone will have good English and they will usually read the rules in English. This might be a little tortuous, but again it usually works very well and making friends is well worth the effort. Having a German friend with you is a great boon. When you have an absolutely precise technical question, they can ask the staff in German and settle the question for you. And they can translate certain words or phrases on game boxes that your distionary won't have, especially in-jokes. Remember, nearly everybody inside the hall is a gamer like you. How would you behave in their place? They'll be just as impressed that you've come to their show and like you, they're are usually very pleased to help you out. If you spend the trip with your own buddies and fail to mix with the Germans, you'll be missing a huge part of the experience. You will need a passport to enter or leave Germany. If you need a visa depends on your home nation and the situation can be confusing. If the link is broken, please send me a message. To put it simply, most EU nationals can enter and leave freely, as can many European and Commonwealth nationals and Americans (north and south) as long as they don't work or stay longer than three months. Outside that, you'll need a visa. But please check for yourself. The German embassy in your nation shold be able to tell you. There are areas for younger children to play on huuuge inflatables. You can strap your kids into a giant foosball or dangle them on bungee ropes. I avoid these zones so I can't advise further, but the show does not seem suitable for kids under 8 years old, even supervised. You'll see the odd pushchair or infant being carried, but small children aren't in great evidence. For children over 8 years, there is plenty in the main halls to occupy them. Lots of Pokemon/Yuhigo/MTG stands and contests (staffed by attractive young women curiously! ), lots of publishers with games for kids (Zoch, Haba). But you'll have to keep your kids in sight at all times. It's a vast place and I've lost track of my adults friends in seconds. You go one way, they stop to look at something, you turn back to find them and they've vanished. Now imagine that with little folk. The show is hard work for adults and can be tiring on the feet. If your children can't stand a trip to Ikea for long, they won't last a whole day at Spiel. Especially if you are looking at things for yourself and not kids games. But if your children are hardened gamers, they'll eat Essen alive. I've been going to the Essen show for several years. Apart from 2006, the weather has always been superb. Either it will be a mild, sweet Autumn, or it will blaze with sunshine (21C in the day). In 2006 there was some rain and I got caught in a heavy shower. So you may want some kind of light coat & hat and long sleeves but you won't need your winter clothes. No, not many. There are two places I know of that are toilet/washroom/restroom areas with male, female and disabled sections. The facilities are well pretty basic. Clean, functional, but not somewhere you'd want to hang out for very long, if you know what I mean. There can be a little queueing if you need a cubicle. One block is down underneath the cafeteria at the top of Hall 11. The other is in the section 4a which joins halls 4, 5 and 6. No. Even on Thursday and Friday, the show halls are very busy and there are lots of booths and lots of distractions. It's a very colourful, entertaining show, and your companion will pause for a moment, just step to another booth and bingo, they've vanished! And unless they are 3 metres tall, your chances of spotting them are nil. You really have to stick within arms reach of each other, or be extremely explicit when you split up as to where you are going or where you'll meet up next. But all the halls have very large clear signage, and all the booths are clearly numbered, and there are lots of clear landmarks (the big stands for Kosmos, Amigo, Ravensburger for example). So you should be able to find a good place to meet up if you get lost. Each hall has it's own number hanging from the ceiling, so if you don't know where you are, just look up. Just remember, if you say you'll meet at the Amigo stand, it's a big stand, so you could be on one side and your companion could be waiting on the opposite side. The steps to the cafeteria make the best meet up place in the show. Often, making plans to meet up later at specific places are also fraught. It's extremely easy to lose track of time, especially if you stop to play a game. You think you'll be there for just 15 minutes, and one hour later you're still sat there. Even if you realise you have to be somewhere right now, fighting your way back through the crowds to the chosen meeting place will take a good 10 minutes. By then, your companions will have moved on (or be pissed at you). Personally, I found it very frustrating to be hanging round just waiting for someone to turn up. It seemed like wasted time to me, when I could have been walking the halls. I strongly recommend using your mobile phones to stay in touch. They will work in the halls, as long as they work in Germany. But I even found it hard to hear my phone ring (or feel the vibration), so often I missed messages and calls. It may be worth investing in a better phone, or get walkie talkies just for the show. If you have to stay in touch with someone for a particular reason, you're going to have to accept these problems, or just stick to them like glue. I am not physically disabled nor have I accompanied a disabled person to the show, so I can only say what I've seen, not experienced. The halls are designed for disabled access, with ramps or lifts for wheelchair access for example. Half of the halls are on one level, the other half are just a few metres lower, so unless you keep going back and forth over the divide, you won't have many problems with the building. But I have no knowledge of toilet facilities for the disabled - other than there are disabled toilets, but I have not experienced them. However, getting around the crowds and especially into the stands themselves will be difficult or impossible. All the main stands have a lot of light-weight tables and chairs for gamers to use, but they are constantly occupied, and often the floor between tables are packed by gamers, playing games on the floor. If you have a wheelchair, or a buggy, or limited mobility, you've got no chance of getting in. You will probably get someone to vacate a table at the edge, but you'll need to make a fuss. Everybody is carrying bags too, and these are all around. I have full mobility and still found it hard to clamber over people and their stuff. Having said that, I have see people with large, motorised wheelchairs making it around the show, so if you've got the gumption, go for it! Just be prepared for some disappointment. Outside the show, you will have more problems. All the subways have escalators or steps, and a few U-bahn stations do have small elevators. I can't recall seeing anybody in a wheelchair on the U-bahn, and I think you'd be forced to stay on the surface for road crossings. You could find that it's easier to get around inside the show than actaully getting to the show. Similarly, most restaraunts do not have obvious disabled access, often having steps at the entrance. You cannot ship games directly from the show halls. But there are choices if you want to send boxes home by courier. Read this thread here for more info. The best way to get games home is by private car! If you know somebody driving to the show, bribe them massively. Other than that, if you are flying in, then you can get a surprising amount home in your suitcase. It is very useful to have a large hard-shelled suitcase if you expect your games to arrive back in good condition. If your case is cloth sided or soft, then expect some heavy squashing and pack with that in mind. It is essential that you practice packing games into your chosen luggage at home, before you travel. Find examples of the publishers you expect to buy and use similar sized gameboxes to test the capacity of your suitcase. For example, if you are keen to get Alea games, and already have one, then see how it fits. You must be sure of your limits, otherwise you can easily buy too much, or buy games that are too large to fit anyway. Work out too how much clothing you will need and put that in the case first. Practice using clothing like t-shirts around the games in the case to fill out gaps. If you are using a carry-on bag, it may not fit in the overhead lockers when stuffed with games. I have flown back from Dusseldorf to the UK several times on the Monday after the show. They use a very small plane. Tiny. Too small to take carry-ons into the plane, they make you put them into the hold. You actually put them on a trolly, or on the ground as you go into the plane, and the ground crew pack the hold. I once managed to get the cabin crew to let my bag on board, but that was with British Airways and they were being very nice. Another time I nearly missed the flight and being last aboard they had already closed the hold. I don't recommend that technique. 1. pack stuff within stuff - lots of small games will fit in the spaces inside larger games. Be creative. 2. fold innards down - many german games have cardboard inlays that will fold up nicely. This significantly increases volume inside for other games. 3. dispose of plastic and other bits - some people throw out the plastic inlays. I keep them and tuck stuff in the gaps under them. 4. punch the bits - some people unwrap new games and punch all the components, and dump the sprues to save space and weight. I tried this and didn't feel it was worth the effort, but you do get access to the box innards. Use clothing items to go between the games and the suitcase sides, especially at the corners and base. This will soften the damage caused by impact when the case is handled. You should take some good sized rubber bands with you to secure opened gameboxes and stop the bits falling out. Normally rubber bands are bad for boxes, turning into glue under pressure, but for the short journey, you'll be okay. You might think about taking ziploc-style baggies with you, or food bags that you can tie up to hold game bits. Probably the most convenient place to meet up is the main cafeteria, or the steps leading up to it. The Messe don't allow gamers to use the cafeteria tables for gaming (they are running a business selling food, not games), but people ignore the rules. You will have to make clear explicit arrangements to meet and wear a carnation, or just swap mobile/cell numbers before you meet. Here's a quick reply to most of the questions from my perspective. I'll update it with more links and information when I find the ones I used. The Mecca of table game fairs. A place where designers and companies show their new games (mostly board and card games but there are miniatures, RPG's, and more to be found). 4 Is there a website? External sites? It's a pilgrimage if you're a boardgame fanatic. Lots of friendly people, new games to play, freebees and hard to find items to be obtained, and more. The cost can be high if you're coming from afar when you add airfare, hotel, and food, it's the cost of a full fledged vacation. This all really depends on where you're coming from. Do your own work and find the best means of transportation at the best prices. Last year I flew into Amsterdam and took a train (round trip for 80 Euro) to Essen. The train ride was 2:15 from Schiphol Airport to the Essen Hbf. You can also get flights into Dusseldorf Airport which is about 20 minutes from Essen with the subway/train. The train ride from Frankfurt is about 2:30 if you fly into there and get the IC (inter-city). Plenty of hotels to be found but book early. There are many away from the fairgrounds but with good access via subway to the fair. Expect to pay from 40-100 Euro depending on when you booked and how far away you stay. Last year I paid 100E for the 1st night then 79 for the rest at a nice hotel. Cheaper can be found. Many come with breakfast included. Mapquest it or go to the Essen city homepage. I took the subway which was right out the front door of my hotel to the fairgrounds. The exit at the fairgrounds lets you out right in front of the ticket booths. 11 How to get a ticket for the show? Can you re-enter the show? You can buy one at the door or at any of the travel centers in town. Cost last year was 24E for the 4 day (dauer) pass. Once you leave for the day, they don't let you back in. Yes and no. There are sellers galore. By Sunday, there are many of the past year's games to be found at discount prices (30-50% off retail or more). There's also the best used game hall with sellers for every game you've ever wanted but couldn't find. Bring a big suitcase and most of the used game sellers only take cash. 14 Food - where to eat? How much are meals? Supermarkets? Food in the show? Most veterans bring a backpack with chow and water in it. Food can be had at the fair but it's limited in selection and expensive. There was a supermarket where I stayed (Kaufhof) where they sold fixings to make great sandwiches, buy drinks, and snacks, and fruit. Get what you need before going to the fair. There are ATM's outside the fair building. Most sellers at the show take cash but a few will take plastic. Know what freebees are offered before you get there and check the hall layout for their locations. Many good items go fast, some last through the whole fair. There are often items that can be purchased for a small amount that you won't find elsewhere from the dealers, much like promo items at the big US cons. Why? You're at the best game shop in the world when your at the fair. Depends on the airline. Most allow 2 checked bags with a weight from 44-54 pounds per bag. Anything over that and you'll pay extra heavy bag cost. Go with one small carry on and one empty bag for your haul. No. Most everyone at the fair (and hotels, and everywhere) speak English. 21 Do I need a passport or a Visa? Beautiful downtown shopping and walking area. Google it. Also at the Gruga Park next to the fair there is a botanical garden (if it's open) and beautiful parks to walk around and through. Absolutely. Many children play areas at the fair with games suited to all ages. BTW a few other items of interest. - COMIC 06 will be located at the fair again this year. It's probably the biggest comic book/anime gathering in Europe and the stands also have all the usual collectibles from movies and shows. - If you're into Medieval costumes and accessories, there's one hall that's nearly all fantasy wares. Being close to Halloween it's a great place to get all kinds of fantastic gear. Just don't expect to take any of the weapons back on the plane with you (though you could bag check them). - Last year the weather was probably the best ever with temperatures in the mid 70's and no rain all week. However, pack at least one warm sweatshirt or light sweater that you can wrap around. The halls are all warm and can get very warm so jeans and a Tee are fine, but the nights can get pretty cool and into the 40's that time of year. - A note on bathrooms came to mind. Check the hall layouts. The main bathrooms are on a lower level to the right near the entrance. So don't get caught on the far end of the fair with an urge to purge at least for the women since I usually saw a line outside their door. There are bathrooms in a few of the halls but I found them hard to locate. Not on your list, but certainly worth knowing about. BGN will also undoubtedly post daily reports once Essen starts. In regards to Walt's response... that's the way a geek takes care of a geek. I think it's great when people take the time to respond to questions in a sensible manner, rather than saying... "How many times has that been asked?". I'm tipping what I have, though not much. What about organizing a special face-to-face Essen trade that is organized in advanced? I'm sure it has been done before and thought you could add some info to the FAQ. US checked baggage handling has reputedly gotten very bad what with all the inspections and airline cost cutting. I would not put $200 of games in a checked bag. Being unusual it might well attract an inspection, and goodness knows what happens to your games then. An alternative is to ship the games home using Fed Ex or whoever. And that way, you don't have to wait by the darn luggage carousel forever. 11 Can you re-enter the show? Once you leave for the day, they don't let you back in. That is not quite true. You can ask for a token when you leave and they will let you back in with the entrance card and that token. Even if they don't hand out tokens you can ask them to remember your face and come back later, if it doesn't take hours for you to be absent. They just want to make sure that you don't give away your ticket on the outside and somebody else can come in with the same ticket. I think there is also a law that forces them to let you back in, in case you just feel unwell and have to get a few breaths of fresh air outside. They cannot deny your re-entry in that case. Just make sure you insist on coming back and strike some deal with them when leaving. It can be done. On the first day after the first hours of shopping I usually bring my purchases to my car at the parking lot to get my hands free and then return. It hasn't been a problem in the last 10 years... although some tried to phrase "you can't come back" you just have to insist yourself or grab the next responsible person who might be in a better mood. Cash only at the vast majority of stands. Yes, that one was referring to the ticket purchases at the fair. You can use either. As far as dealerships in the fair, cash is king but some do take credit (the larger ones selling weapons and wares in the medieval hall). Yes, this can't be understated if you want to leave and come back in. There are many open areas in between the halls of the fair where folk get a breath of fresh air and even congregate to play games in the open when it's nice. These areas are within the fair grounds and you don't have to leave, but the ATM's are outside if you need one. Coordinate with someone if you leave and tell them it's to go to an ATM to get cash and then return. Thanks to all for the tips. They're appreciated but not necessary. Glad to be of help and I hope to make it again this year if my schedule permits. Is there always a KKK presence a the show? - Doesn't matter how much you stress it, people's first reaction inside will be "it's big!". - Don't rely on finding a room pot luck unless your pockets are deep or you want to stay in Dusseldorf or somewhere similar (though that's quite manageable). - There ought to be a few words about the U-Bahn. But all my carefully learned knowledge about four men and a dog tickets became unnecessary when they introduced ticket machines which do English as well as German. You want the Messe Gruga stop, almost at the south end of its line (I forget the number offhand). - I used to go by train from the UK, Eurostar change at Brussels, then change in Cologne (Kohn, how do I do an umlaut here?). Best way to buy a ticket from the UK used to be (I guess still is) from Deutsche Bahn, I used to be able to get to Cologne for what Eurostar charged for just Brussels. I also used to combine it with a bit of travelling in Germany (before the show of course) and there what to find out about was a Euro Domino ticket (I don't know if they still do them) good for three, not necessarily consecutive, days travelling. With all that experience at games like Cathedral and Bausac, not to mention getting Antike back in the box or Memoir 44 PLUS expansions into the original packaging, I'd say that packing a MINI with games for driver, passenger, friends and games shop is actually pretty simple. Although every year it;s gone back pretty full, I've always run out of money before actually running out of space. Should be *real* easy this year; I'm going to be mean with friends/shopkeepers, and I'm almost completely penniless, so it's going to be Chris's job to fill the car with new purchases. You forgot the Airport Dortmund. Easyjet flies it for good prices, and it's not too complicated to get from there to Essen. It's about an hour by bus and train from Dortmund Airport to Essen. if travelling from the netherlands, berlgium or some other place close to essen get a schoneswochenend ticket... it will set you back 35 euro's and will get you and 4 other people to and from the exhibition halls. It is only valid on RE or slower trains so it is a litle slow, but it is cheap. It can be bought in the train. They accept only money as far as I know. so be sure to have some cash on hand. Does anyone know if wheelchairs are available at Essen Spielfest? I don't see any handicapped access info on the messe site. Perhaps one of you can provide an email address for someone on site to ask this question to. There's a parking at the Messehalle, but that is usually filled quickly. Free parking is possible in the streets around the halle, but they are also quite popular. Best thing to do is to arrive early, so that you can find a good spot. If that isn't possible, an alternative strategy might be to find a parking spot at another U-bahn station, and travel from there. I don't know if they have wheelchairs on site. There are ramps, though, where one part of the building is a bit lower than the rest, so almost everything is accessible by wheelchair. In theory. In practice, the Messe gets quite crowded, and doubly so at the weekend, which would make it very difficult to get around on wheels. If you book your ticket at a minimum of three days in advance, you may get a discount up to 50%. There is a limited contingent for each train. though it's not very user-friendly so I'm probably just going to pay cash. Does anyone know, can you definitely just buy it on the trains? Well, if it's a long-distance train like the ICE, Intercity, Eurocity or the like you generally can get a ticket on the train (just tell the conductor when he comes to check tickets where you want to go and you're usually fine), but for all I know you have to pay a surcharge. In the S-Bahn, U-Bahn and most regional trains you usually can't get a ticket on the train. The reason for this is probably that tickets in those trains are only checked sporadically.